At 10:30 a.m. on August 11, Japan’s Kyushu Electric Power Co. started up Sendai-1 Nuclear Power Plant (PWR, 890 MWe), achieving criticality at around 11 p.m. the same day. Resumption of power generation is expected three days later, on August 14. Thereafter, the operator will take the unit through a period of adjustment operations while gradually increasing output. In early September, an integrated performance test will be made by Japan’s Nuclear Regulation Authority (NRA). Regular commercial service will then follow. This is the first time that an NPP in Japan has resumed operation based on the new regulatory standards brought into effect by the NRA in July 2013. 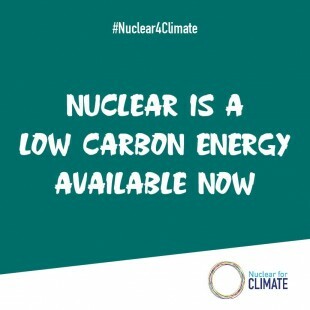 It also brings to an end the period of one year and 11 months during which no NPPs in Japan were in service: namely, the period since the Ohi-1 NPP, owned and operated by the Kansai Electric Power Co. (Kansai EP), was shut down in September 2013. 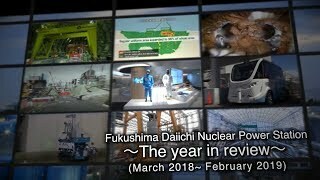 The operation of Sendai-1 had been suspended for more the four years, since May 2011, immediately after the nuclear accident at the Fukushima Daiichi NPPs in March 2011. Various minor problems can still be expected. Kyushu Electric Power will proceed cautiously as it identifies and deals with any abnormalities. Leading up to the restart of Sendai-1, Kyushu Electric Power filed applications with the NRA on July 8, 2013 for examinations to confirm compatibility with the new regulatory standards. The applications were made the same day that they came into effect. That same day, applications were also filed for Sendai-2, also owned by Kyushu Electric Power, as well as Tomari-1, -2 and -3, owned and operated by the Hokkaido Electric Power Co., Ohi-3 and -4 and Takahama-3 and -4, all owned and operated by Kansai EP, and Ikata-3, owned and operated by the Shikoku Electric Power Co. Many active volcanoes lie within a 160-km radius of the Sendai NPPs, and the effects of a possible eruption by any of them must be assessed under the NRA’s new regulatory standards. In its examinations of Sendai-1, the NRA argued the possibility of a caldera eruption during the unit’s service period. Based on the progress of the examinations, and as major items subject to examination were cleared, the units were designated as “NPPs whose examinations will be carried out with priority,” and were examined intensively starting in March 2014. On July 16 of last year, the NRA formulated review report drafts, which were made available for public comments. Last September 10, the units then received permission to have their reactor installations changed in terms of their basic design. Meanwhile, in matters regarding the siting area, documents under the name of the METI minister were delivered to the governor of Kagoshima Prefecture and the mayor of Satsumasendai City on September 12, 2014, asking for their understanding on the government’s policy of promoting restarts. Thereafter, in October, the prefecture held meetings to explain the restarts to local residents. After a petition seeking restarts of Sendai-1 and -2 “as soon as possible” was approved by the Kagoshima Prefectural Assembly on November 7, Governor Yuichiro Ito expressed his intention to agree to the restart. In anticipation of Sendai-1’s restart, the NRA approved the plan to carry out construction on the unit on March 18 of this year, and pre-service inspections to confirm actual safety measures were launched 12 days later, on March 30. Following progress on those pre-service inspections, fuel assemblies were loaded into the reactor from July 6 to 10, and drills on the prevention of severe accidents were carried out from July 27 to 30. 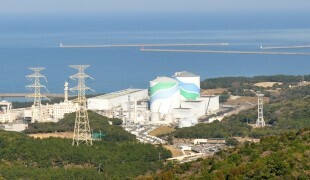 Upon the startup of Sendai-1, Kyushu Electric Power President Michiaki Uriu released a comment, saying, “This is an important step in the restart process.” He stressed that the power company, with solid determination never to cause accidents, would continue working voluntarily to improve safety, while actively striving to disclose information and communicate sincerely with the public. * WNA welcomes the Sendai-1 start-up in the press release.